New equipment can be expensive, yet so can downtime and the risk of losing a customer because you can’t deliver speedy service when your equipment is down and needs repair or replacement. Budgeting for future equipment is often cited as a best practice for your business. To have that money saved and protected before pieces of major equipment in your shop near the end of their operational lifespan is one way to plan ahead and prepare before you’re caught with a costly situation. Yet while you’re supposed to be saving, cash flow is the lifeblood of your business. Tying up a mound of cash for a future purchase that could go toward more immediate needs can be a tough call for some shop owners. One solution is equipment financing. Many equipment distributors offer equipment-financing options as do local bankers and credit unions. There are also boutique financing firms that specialize in the tire and auto service sector that might be worth exploring. Leasing might also be a good fit. For example, some garage equipment providers offer equipment-leasing programs for their customers. Leasing might be a consideration depending on your business strategy. Plus with lower fixed monthly payments, leasing offers you additional financial flexibility, can help you stay updated with the latest tools and equipment technology and comes with the added bonus of tax advantages. According to the most recent changes in tax law, when a business acquires equipment using a true lease structure and the depreciation is given to the lessor, the company that leases its equipment can still deduct the full “rental” (or lease) payment in full for tax purposes. Check with your accountant/attorney for the best approach for your business. Once you determine what’s best for you regarding how to afford it, the next decision is to make sure you’re buying what’s best for your shop. When considering a tire changer, for example, this single piece of equipment is both a major investment and an essential for a successful tire dealership to run efficiently. Yet investing in new equipment can be a challenge. 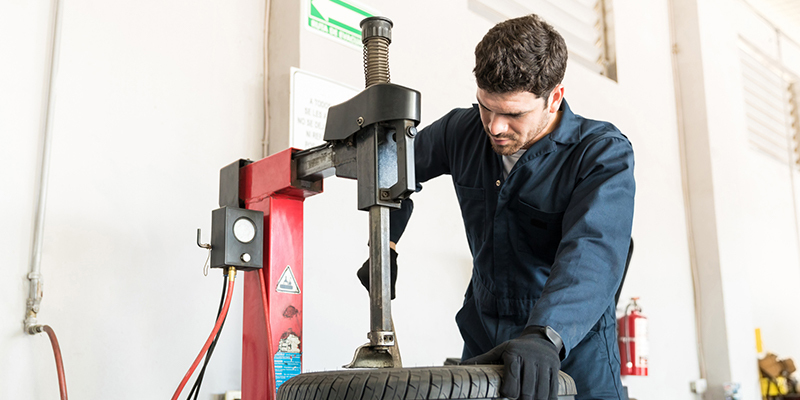 While shop owners want the best value, they also need the best quality and a piece of equipment that specifically meets their needs and will take the abuse of heavy automotive work over the years. To further our example purchase, below are the main questions to consider when purchasing a new tire changer for your shop. Similar questions can be asked for most major equipment purchases. Size: Does this unit and model fit in my shop? Is there enough space to walk around it once it’s installed and part of a busy bay? How flexible is it to relocate? Design: What options, features or accessories are available? 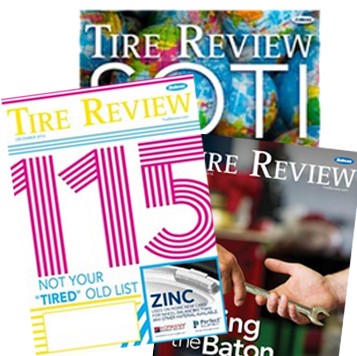 Which ones make the most sense based on the volume of work performed, the speed expectations of customers and the types of tire and wheel assemblies you work on? What are the air and electrical requirements? Function: For a tire changer, what features are there to better serve the customer, such as wheel-damage prevention and the ability to handle the shifting OE tire trends (like run-flat tires, wide diameter, UHP tires, black wheels, aluminum wheels, etc.)? Is it easy to use? Maintenance: How much money will it cost to keep it up and running? And if something goes wrong, is there service available in your area? Warranty is also a consideration, in addition to understanding the maintenance schedule required for the warranty to be effective. Training: Getting the most value out of today’s advanced equipment requires that operators are well versed in all that each unit has to offer. This requires training, so it’s important to consider which employees will be available to help get each unit set up and how your shop will receive its training on the unit. Special thanks to CoatsGarage.com for contributing to this article.